The ASU Board of Directors has implemented a new Dojo Ambassador program to recognize ASU members who have worked to bridge ASU Dojos together. The purpose is to foster friendships and connections among ASU dojos, and to help unify the ASU as a whole. 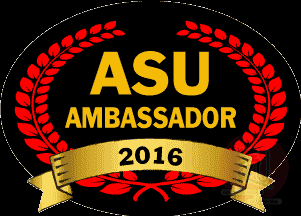 Participants who complete the requirements will be recognized as an ASU Ambassador, and will receive a certificate and recognition from the organization which will include their name on the List of Ambassadors on the ASU.org website. This recognition is independent of rank, and any active ASU member can participate. The full name (first, last) of the applicant. The applicant’s ASU member number (ASU dues must be up-to-date). The name of the applicant’s instructor (if applicable). The name of the applicant’s Dojo. They should be taken in front of the Dojo kamiza, in uniform – Ambassadors should have actually trained at the Dojos, not just have “dropped in”. The photo filenames should include the name of the Dojo. The photos must be in JPEG/JPG or PNG format only. The photos must be no larger than 1MB in size. Once processed, a certificate will be mailed to the applicant’s home Dojo. If you have any problems with the application form, please contact guy@nullasu.org.